Thank you for visiting my website. It is an honor to represent the 4th District as your State Senator. I hope this website will serve as a resource for you to remain informed on the issues and the legislative work taking place in the General Assembly. Please feel free to explore this website and use it as a resource for accessing the many services offered by your state and local governments. If you have any questions or concerns, please do not hesitate to contact my offices. 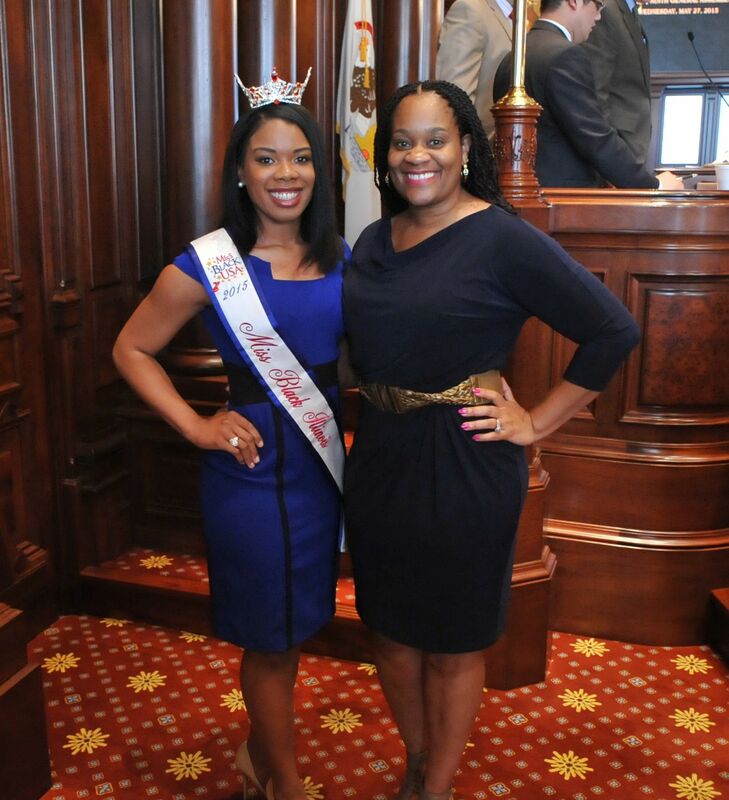 Senator Lightford hosted Destiny Lee, Miss Black Illinois USA 2015, at the State Capitol. Miss Lee addressed the General Assembly, speaking passionately on a variety of topics close to her heart. 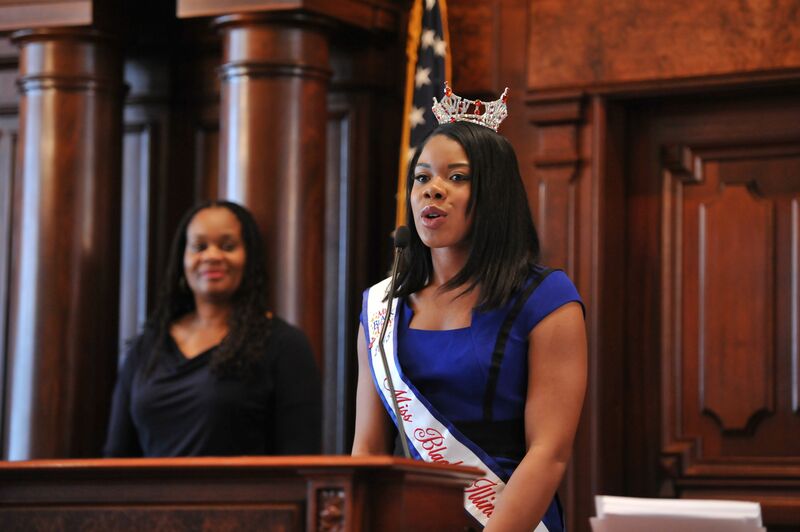 The Miss Black Illinois USA Pageant celebrates academic success and believes that education is the key to lifelong achievement and empowerment. The pageant promotes education and leadership by providing scholarship opportunities to its winners. 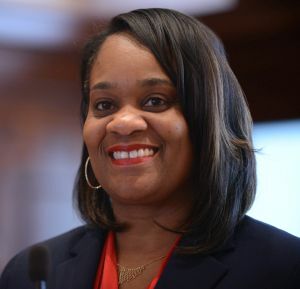 SPRINGFIELD – In an effort to fight back against deep cuts to critical state programs and services, Assistant Majority Leader Senator Kimberly A. Lightford voted to fund the Dept. of Juvenile Justice (DJJ) at a level of $150 million – $16 million more than last year. Senator Lightford released this statement about her vote. 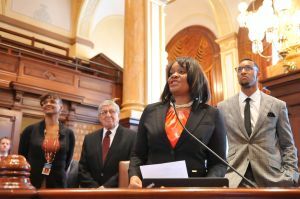 “A higher funding level for the Department of Juvenile Justice will allow the department to better reach and rehabilitate the youth of our state. Increasing the number of staff working with our troubled youth will improve safety for the children and staff, while improving educational opportunities and the overall chances of rehabilitative success for each child. 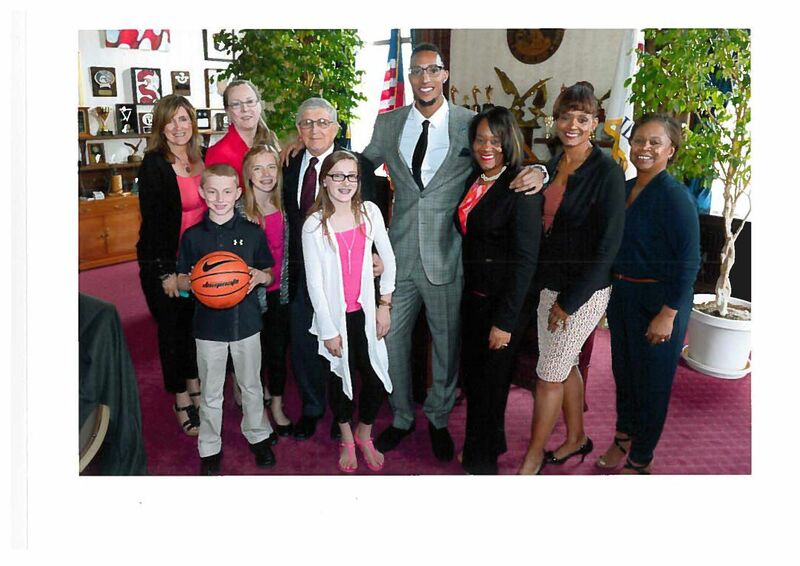 Senator Lightford had the pleasure of hosting St. Joseph High School basketball Coach Gene Pingatore and former St. Joe's basketball player and current Boston Celtics small forward Evan Turner on the Senate floor last week! The General Assembly passed resolutions designating: Canterbury Street from Mandel Avenue to Westchester Boulevard as "Evan Turner Street," Cermak Road from South Wolf Road to Westchester Boulevard as "Gene Pingatore Road," and Westchester Boulevard from Roosevelt Road to Cermak Road as "Isiah Thomas Boulevard" in honor of the contributions made by all three basketball legends to athletics and the local community. 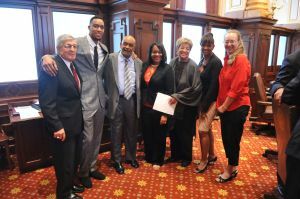 The Illinois General Assembly celebrated Tech Day at the capitol earlier this May! 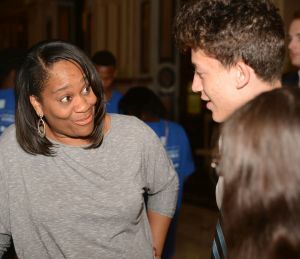 Senator Lightford welcomed student representatives from Lindop Elementary School and J. 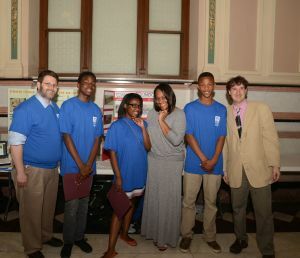 Sterling Morton West High School, as these exemplary scholars presented their innovative tech projects at the Capitol. The studetns and their projects were truly modern marvels! Born May 10, 1968, in Chicago; B.A., public communications & human relations, Western Illinois University; Master's in public administration, University of Illinois at Springfield. Village of Maywood Trustee 1997-2003; State Government Employee - IL Secretary of State, IL Department of Corrections, IL Central Management Services. Resides in Maywood with her family.